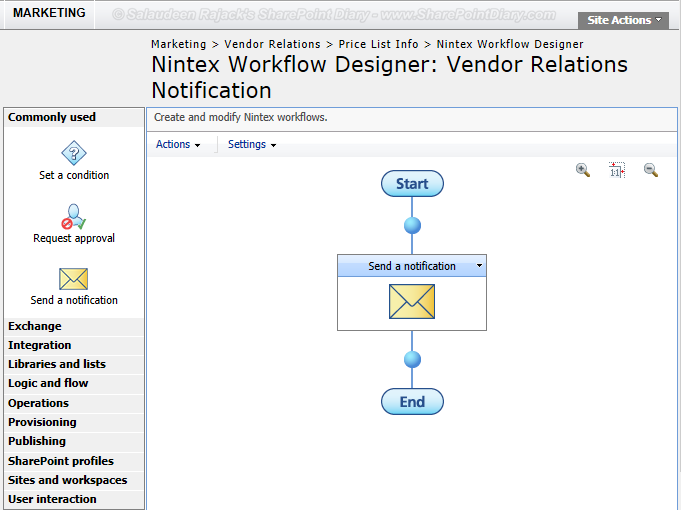 Today, created a Nintex workflow to send out E-mail notification to SharePoint groups. Start-up option for the workflow was: "Start when Items are created", but in SharePoint 2007 incoming email didn't trigger the workflow on new item creation. Incoming E-mail attachments are uploaded to SharePoint libraries using "System Account" (If E-mail settings are set to: "Accept e-mail messages from any sender") which will not trigger workflows by design! What's the Fix for SharePoint workflow not starting on incoming email? This fix applies to MOSS 2007 and SharePoint 2010 for incoming email to start workflow. Same fix applies to SharePoint designer workflows also! SharePoint incoming email doesn't trigger workflow by default, It works after the fix. By default, starting a workflow through incoming email is not enabled. This PowerShell script enables workflow to started automatically when a new item is created. How to Run C# Code from PowerShell?